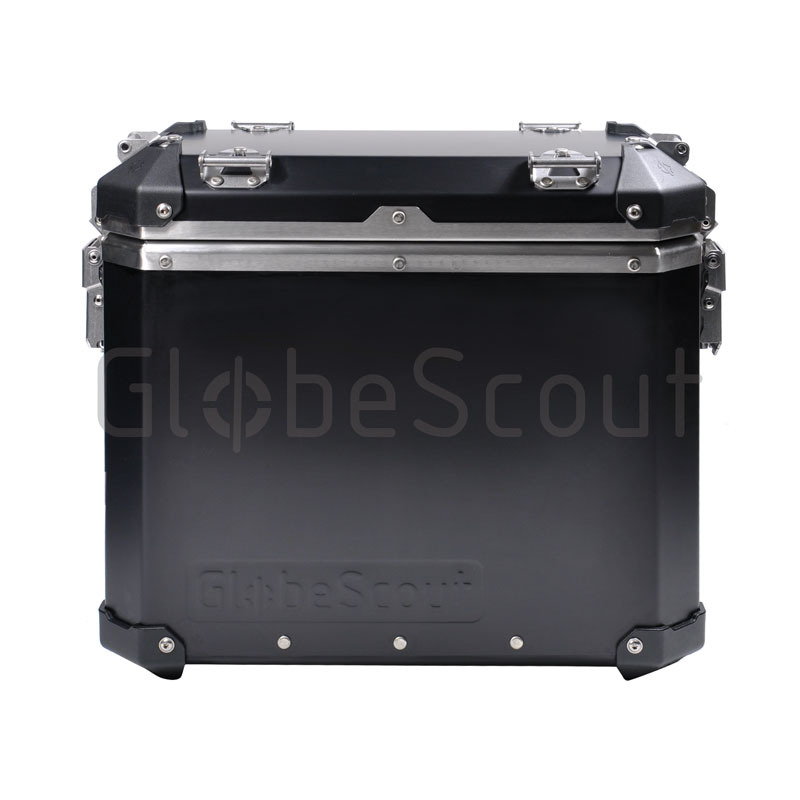 Globescout Side Case Kit Includes everything you need to mount; arguably the strongest aluminium luggage system currently available. 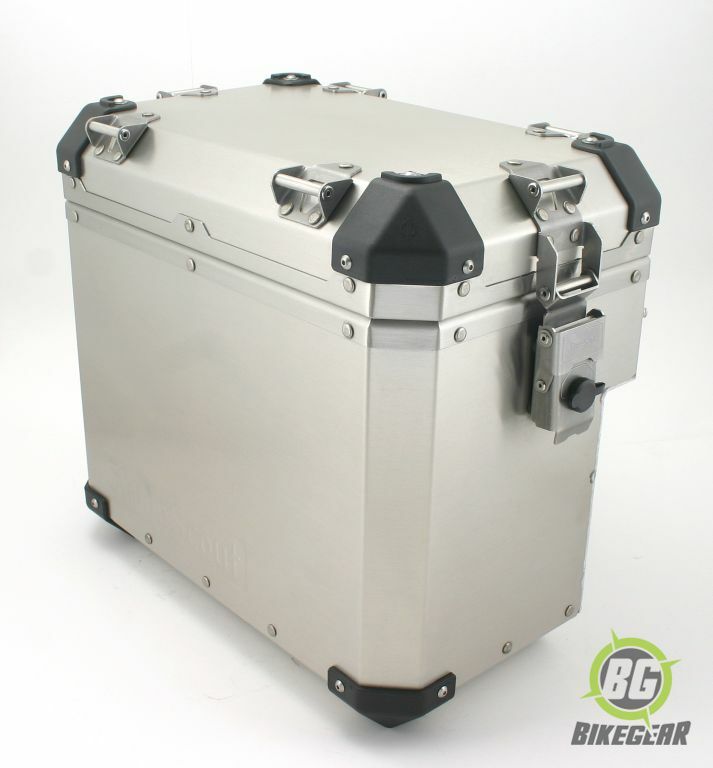 Arguably the strongest aluminium luggage system currently available on the market, the Globescout range has been designed for cross continental adventure riders. 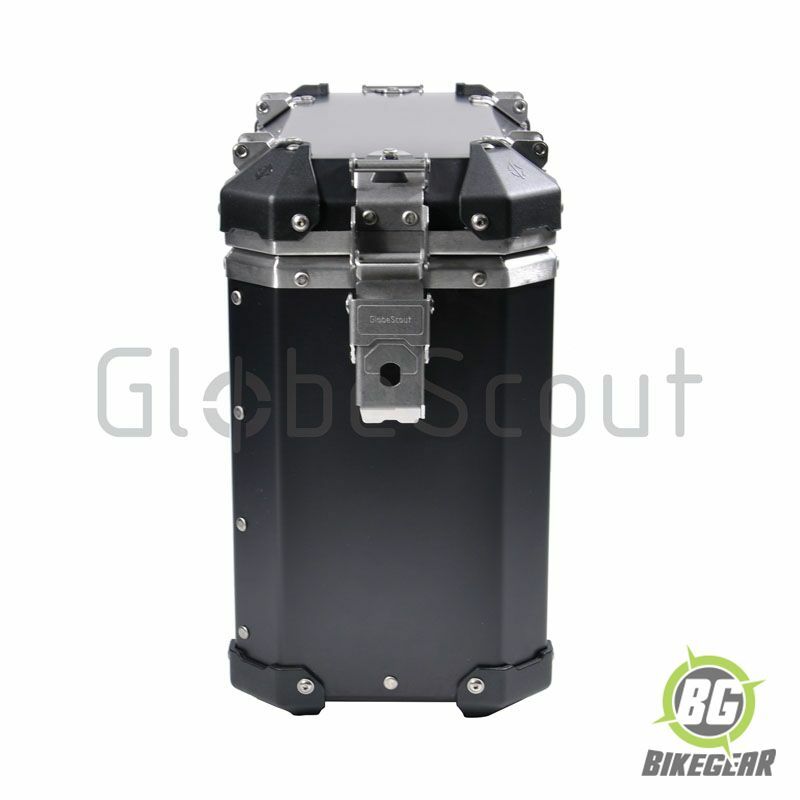 Our Globescout page contains more info on the entire pannier and top range. A wide range of optional extras is available here. All parts are manufactured with solid craftsmanship and attention to detail. 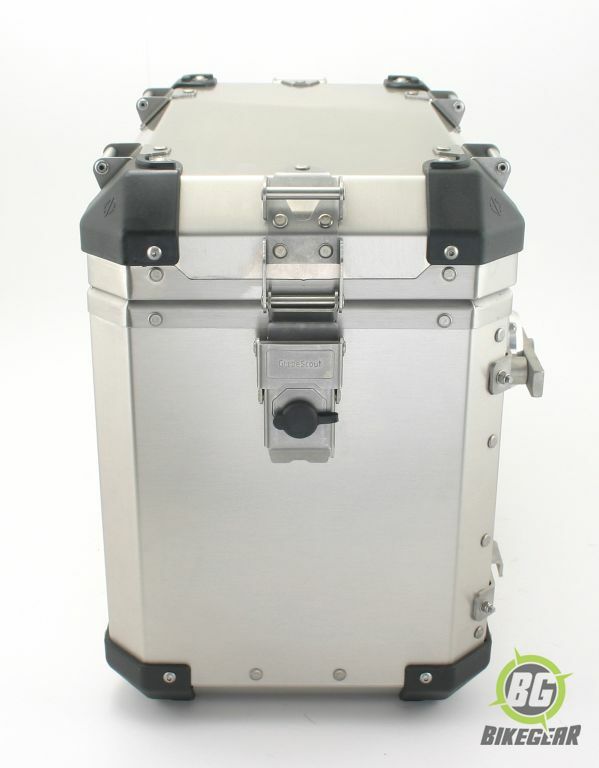 As an example all corner pieces are replaceable and do not affect the structural integrity of the unit. If you were to add up every part (rivets, nuts, bolts, washers, latch parts etc) this system consists of over 700 individual parts. 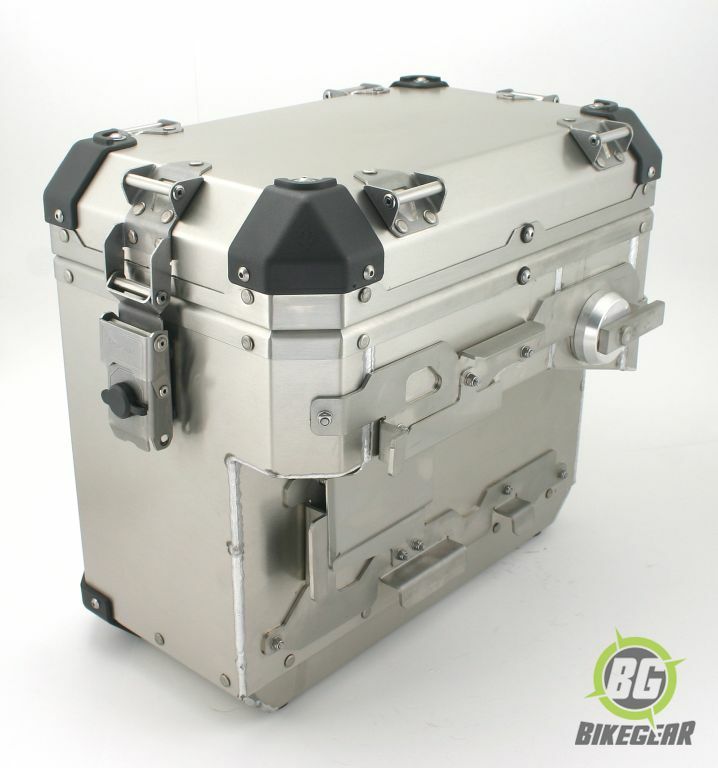 This kit does not include framing as the Side Cases fit directly on the original framing of the BMW Adventure bike. traditional powder coated offerings. .
• Double Silicone Gasket Lid System for superior waterproofing. 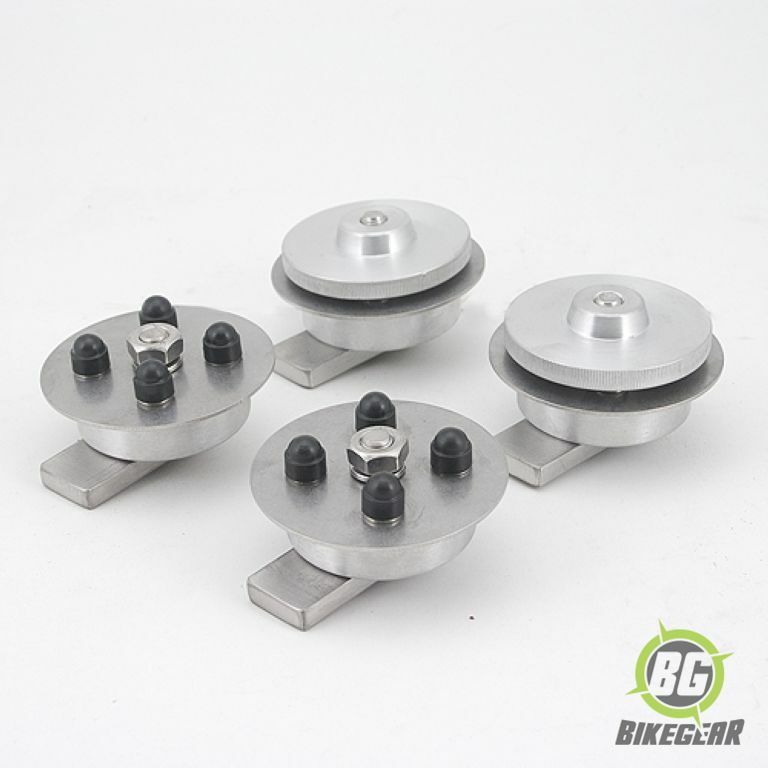 • For the BMW GS1200 a 35/45 L  the combo kit includes a cutout for the exhaust. 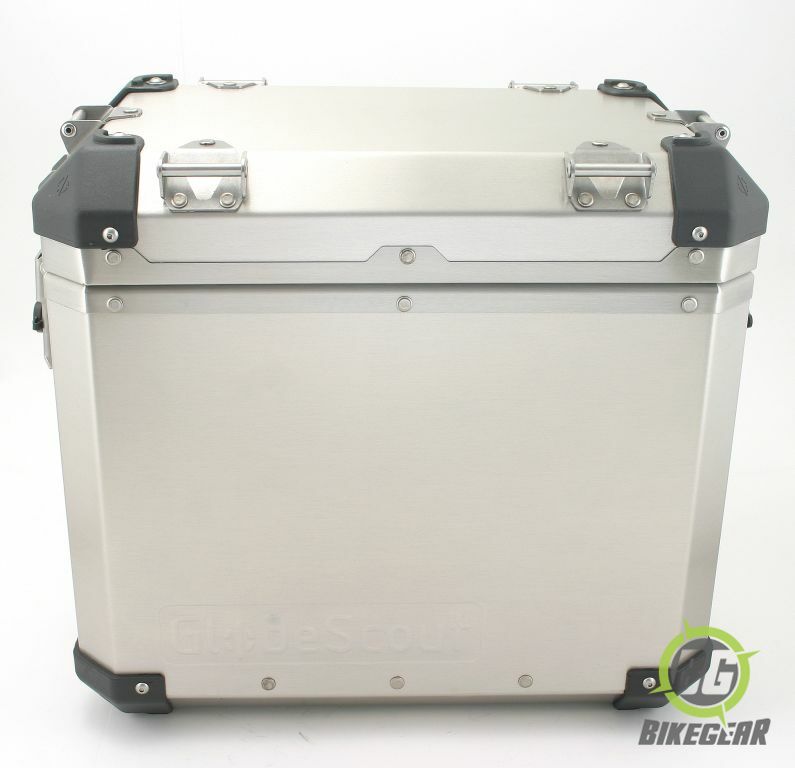 Side Cases (Black or Silver, please choose from drop down).